This past Sunday (June 10, 2018) I had the great privilege of preaching at the ordination of my friend and former student Robyn Elliott at Yorkminster Park Baptist Church in Toronto. The following is the text of my sermon. The Scripture readings were Isaiah 50:4-9 and 2 Timothy 1:3-14. It is Christmas morning. The faithful have gathered to celebrate the Nativity of their Lord. There is a buzz in the air. Not only are the children wound up, but so are their parents. Even the old folks seem to have a little extra spring in their step. For on this day, one of their very own—the son of their beloved bishop—is going to be ordained. No one had ever doubted the young man’s gifting and capacity. Everyone knew he possessed the sharpest intellect and most eloquent tongue to emerge from those parts in many years. The question was simply whether he would ever embrace this level of responsibility for which he seemed destined. His old man, the bishop, seemed to be positively beaming as the leaders of the church laid their hands upon the young man and prayed for his consecration. What great things lay in store for this freshly minted minister of the Gospel! Following the service, the newly ordained pastor did what any sensible person of a clear mind would do. He took flight and he ran for his life! Gregory got out of Nazianzus faster than you can say Cappadocia. Gregory Nazianzus would go on to become one of the most distinguished theologians in the history of Christianity. Upon returning to his ministerial post, he felt obliged to offer up to his confused and disappointed congregation a defense of his flight to Pontus. In the defense, he argued that it was not out of fear that he fled, but rather his flight was motivated by a clear understanding of the profound challenges set before a pastor. Part of the problem, Gregory observes, is that as a pastor you have to deal with the laity. He observes that many laypeople have picked up a variety of weird and wacky conceptions about the faith. And, not only that, many laypeople are simply impatient. With respect to the former, he observes that it is easier to “impress the truth upon a soul while it is still fresh, like wax not yet subjected to a seal,” than to inscribe “pious doctrines on top of inscriptions.” With respect to the latter, he points out that it takes years to learn to play a musical instrument well, yet many of his people seem to think that wisdom can be acquired in an instant. As Gregory was pointing his finger at the clergy and the laity, he was not unaware of the fact that there were three fingers pointing back at himself. Perhaps the most striking aspect of Gregory’s defense of his flight to Pontus is his acute awareness of his own failings. In humility, Gregory recognized his personal insufficiency for the pastoral calling. 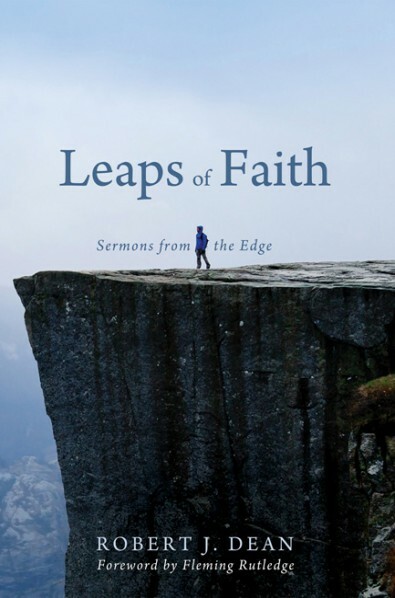 Gregory feared being the type of preacher who paints a profound picture of the virtuous life in his sermons, but fails to model those virtues in his life. He feared undertaking to heal others while he himself was full of sores. Juxtaposing Gregory’s letter with the present state of the Church in Canada, it’s hard not to come to the conclusion that this whole enterprise is just one giant mess! Even Yorkminster Park’s own prince of preachers, John Gladstone, came to a similar conclusion. Towards the end of his ministry, he once proclaimed, “The Church is atrociously unlike Christ, as we are frequently reminded. And the quality of worship, both in the nave and the chancel, often leaves much to be desired.” I should add that in the next breath, Gladstone was quick to point out that he was speaking generally and not of his particular experience here at Yorkminster Park. Let’s pause then to take stock. The laity are insufferable. The clergy are intolerable. And finally, whatever resources or abilities one could ever hope to bring to the pastoral office, they are woefully inadequate. Insufferable, intolerable, inadequate. In other words, the Church is a mess! And, to anyone who willingly consents to being ordained, I can only say, “God help you!” Perhaps, at this point, we could pause for a moment, bow our heads, close our eyes, and enter into a moment of silent prayer. If Robyn is still here when we open our eyes, we’ll continue with the service. If not, well, I hear there are tasty refreshments waiting for us. Robyn, I see that you are still here. My suspicion is that you didn’t stay because you think my assessment of the church being a mess is incorrect. You’re still here because even though the church is a mess, you recognize that it is a holy mess! You’re still here not because you are looking to establish some sort of professional trajectory or add a fancy new title before your name, but because you are responding to a call. This is what ultimately brought Gregory back to Nazianzus. While he recognized that pastoral ministry is not something that one should enter into lightly or rashly, he also knew that it would be foolish to resist the claim of God upon his life. In a memorable graduation address, I once heard a Tyndale valedictorian quote Frederick Buechner, saying, “Vocation or calling is the place where your deep gladness meets the world’s greatest need.” There is a sense of this in the Servant Song from Isaiah 50 that has played such a pivotal role for you, Robyn, as you’ve discerned your own calling. The joy of the Servant is found in the Lord, and through his utter dependence upon the Lord and attuning his ear to God’s voice, the Servant is able to speak in such a way that he sustains “the weary with a word” (v.4). Yet this life-giving ministry in the face of deep need is not immune from suffering. We are told that the Servant’s back is given over to beating, he is insulted to his face and spat upon, and his beard is pulled out. (Admittedly, Robyn, the latter is more of a concern for me than it is for you.) Interestingly, our passage from 2 Timothy also quite distinctly sounds the note of suffering. To be set apart for ministry is to be set apart for suffering. How could it be otherwise when pastors are under-shepherds of the Good Shepherd whose entire life and ministry is summarized in the words of the Apostles’ Creed with the single word “suffered”? Now I do agree with my daughter that far too often the work of theologians is inane and obtuse. But this is not the way it’s supposed to be. The apostle Paul clearly envisions doctrine as being essential to the life of the church and to the pastoral work of the cure of souls. Throughout the Pastoral Epistles he continually impresses upon his young charges the importance of sound doctrine to pastoral ministry. Of course, emphasizing the importance of doctrine is going to sound hopelessly old-fashioned and out-of-touch in our increasingly bureaucratic and therapeutic culture. Indeed, there are many who bear the designation “Reverend” or occupy the office of “Pastor” who have removed doctrine from their handbag in order to make room for the latest leadership and management principles from the world of Strategic Planning or the newest tips and techniques from the realm of Psychotherapy. I can still clearly remember the day when a colleague in ministry accosted me, saying, “You are letting your theology get in the way of your ministry.” The apostle Paul’s letter to Timothy stands as a warning to us that without doctrine – and sound doctrine at that – we have no ministry. Without doctrine there can be no ministry, because Christianity is a revealed religion. The Christian faith is not some generic truth we happened to stumble upon one day when we were out walking along the ravine. Rather, the Gospel directs us to a particular happening involving a distinct person in his irreducible identity. As Paul puts it in our reading, at the heart of the Christian faith is the grace “revealed through the appearing of our Savior Jesus Christ, who abolished death and brought life and immortality to light through the gospel.” This good news can only be received through the testimony of witnesses. Remember that Timothy, the recipient of Paul’s letter, is a third-generation Christian. In some ways, his situation is not that much different from that of present day pastors. Timothy was not around during Jesus’s Galilean ministry, nor is he listed among those to whom the risen Christ appeared. He has received the faith from his mother and grandmother. If he is to faithfully live into his calling as a pastor, he must hold on to the apostolic testimony—the standard of sound teaching—that he has received from Paul. For Timothy, and for us, doctrine is essential to ensure that we are proclaiming the same Gospel as the apostles. Doctrine is not only essential, it is life-giving. Throughout the Pastoral Epistles, Paul employs a medical term in conjunction with doctrine. Our English translations render that adjective as “sound,” but it would be much more accurate to translate the term as “healthy” or “hygenic.” Doctrine is “healthy” or “life-giving” because it directs us to the Lord of life who through his death has trampled down Death. 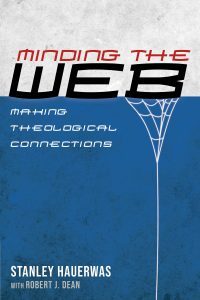 As the former Archbishop of Canterbury Rowan Williams once put it, “The purpose of doctrine is to hold us still before the mystery of Jesus.” Because pastors are those people God has given to the church for the public and continuing responsibility of reminding the church of its fundamental dependence upon Jesus, pastors cannot do without doctrine. It is doctrine that provides us with the necessary cues and clues that allow us to see how our lives have been written by the Spirit into the continuing story of God’s love for the world in Christ Jesus. This is why Paul urges Timothy in our passage to “hold to the standard of sound teaching that you have heard from me” (v. 13). This verse is particularly instructive for those called to preach. A more literal translation of this verse would read, “Hold to the pattern of healthy words you have heard from me.” Interestingly, Paul doesn’t tell Timothy to simply repeat the words that he has heard. Rather, he is to hold to “the pattern of healthy words.” While the words themselves are important, it is the grammar which holds them together that gives the words life. 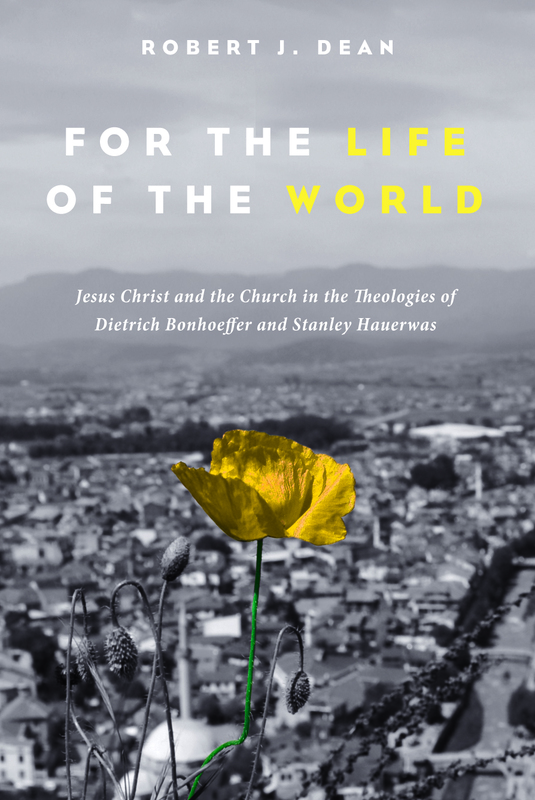 As he sat in a Nazi prison, the pastor and theologian Dietrich Bonhoeffer reflected upon how the great words of the Christian tradition—redemption, reconciliation, resurrection, and rebirth—had in his day become empty terms separated from the grammar which gives them life. Yet from within the confines of his clandestine cell he caught sight of a new day “when people will once more be called to speak the word of God in such a way that world is changed and renewed.” “It will be in a new language,” Bonhoeffer writes, “perhaps quite nonreligious language, but liberating and redeeming like Jesus’s language, so that people will be alarmed and yet overcome by its power—the language of a new righteousness and truth, a language proclaiming that God makes peace with humankind and that God’s kingdom is drawing near.” Robyn you have been given a Bible, not simply for the sake of memorizing verses, but rather so that you may enter into “the strange new world of the Bible” and learn the grammar of faith. Read it, study it, ingest it; not so that you may be able to out proof-text your opponents, but rather so that you may come to discern the new thing that needs to be said today, on the basis of what the apostles and prophets said then and there. One of my mentors who has helped me immensely in grasping the grammar of the Gospel is the Episcopal priest and author Fleming Rutledge. Perhaps the most invaluable piece of advice that I have received from her is this: In a truly biblical sermon, in a sermon that pulsates with the grammar of the Gospel, it is God who is the subject of the verbs. She, in turn, learned this from the apostle Paul, who displays this grammar in our passage from second Timothy. Paul is concerned about the future of the church and the ministry of his apprentice, but notice what Paul does not do. He does not remind Timothy of his wealth of pastoral experience in serving alongside Paul in congregations throughout the Mediterranean. He does not speak of Timothy’s expertise in co-authoring letters that would one day be included in the canon of Scripture. He does not speak of Timothy’s conscientiousness or discipline. Rather than throwing Timothy back on himself and his own resources, Paul points to Timothy’s ordination and the gift of God that he has received through the laying on of hands. Paul’s entire exhortation to Timothy in verses six through fourteen is bookended by and immersed within the reality of the promise and presence of the gift-giving God in the person of the Holy Spirit. So, Robyn, rather than stand up here and speak about your time at Tyndale where you distinguished yourself as a conscientious student, a trusted friend and confidant to the members of your cohort, and a captivating valedictorian, or remind you of your richly variegated pastoral experience in a variety of church settings, or make mention of the combination of natural curiosity, critical thinking, and creative communication skills that positions you to potentially become one of the finest preachers in Toronto . . . Rather than doing any of that, I will attend to the pattern of healthy words we have received from the apostle Paul and remind you that it is not ultimately about you. So Robyn, with the help of the Holy Spirit that dwells in us, we exhort you to hold to the standard of sound teaching in the faith and love that are in Christ Jesus” (2 Tim. 1:13), guarding the good treasure entrusted to you. May you be filled with the Spirit of power and of love and self-discipline. “Veni Creator Spiritus.” God will help you. Gregory Nazianzus, “In Defense of His Flight to Pontus, and His Return, After His Ordination to the Priesthood, with an Exposition of the Character of the Priestly Office,” trans. Charles Gordon Browne and James Edward Swallow, in Nicene and Post-Nicene Fathers, ed. Philip Schaff, Series II, Volume 7 (reprint, Grand Rapids: Christian Classics Ethereal Library), 438, PDF. World Council of Churches, Baptism, Eucharist, and Ministry, Faith and Order Paper No. 111 (Geneva: World Council of Churches, 1982), 19. Gregory Nazianzus, “In Defense of His Flight to Pontus,” 427. John N. Gladstone, A Magnificent Faith (Hantsport, N.S. : Lancelot Press, 1979), 7. From Robyn Elliott’s 2014 Valedictory Address at the Tyndale Seminary Graduation. Alister McGrath utilizes this analogy in his discussion of Augustine’s dispute with the Donatists, although he doesn’t include a primary source reference. Alister E. McGrath, Christian Theology: An Introduction (Malden: Wiley-Blackwell, 2017), 360. Risto Saarinen sounds this note quite strongly throughout his commentary on the Pastoral Epistles. Risto Saarinen, The Pastoral Epistles with Philemon and Jude, Brazos Theological Commentary on the Bible (Grand Rapids: Brazos Press, 2008). This would be one example of where there is no substitute for reading the Greek text of the New Testament. I remember hearing Rowan Williams once say this in a lecture, but I have been unable to track down this exact quotation in print. Dietrich Bonhoeffer, Letters and Papers from Prison, ed. John W. De Gruchy, trans. Best, Isabel et al., vol. 8, Dietrich Bonhoeffer Works (Minneapolis. : Fortress Press, 2010), 390. This point impressed itself upon me most firmly in class and personal conversation. However, Rutledge has written about this at several points. See, for example, her essay “It’s About God, Not You!” in A Peculiar Prophet: William H. Willimon and the Art of Preaching, ed. Michael A. Turner and William F. Malambri III (Nashville: Abingdon Press, 2004). Bonhoeffer makes this point in the Bible study on the Letters of Timothy he presented at Finkenwalde in October of 1936. Dietrich Bonhoeffer, Theological Education at Finkenwalde: 1935-1937, ed. H. Gaylon Barker and Mark S. Brocker, trans. Douglas W Stott, vol. 14, Dietrich Bonhoeffer Works (Minneapolis: Fortress Press, 2013), 944–45. When she was a student in my Systematic Theology II course, Robyn did a class presentation on James B. Torrance’s Worship, Community, and the Triune God of Grace (Downers Grove: InterVarsity Press, 1996). The central thesis of that book is that “Christian worship is, therefore, our participation through the Spirit in the Son’s communion with the Father, in his vicarious life of worship and intercession” (15). Stanley Hauerwas, Performing the Faith: Bonhoeffer and the Practice of Nonviolence (Grand Rapids: Brazos Press, 2004), 153. Rob, thank you for an excellent thought-provoking message. Very encouraging as well for those of us preaching, whether active or retired!